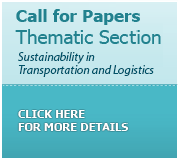 Guest editors: Guest editors: Andrew Kusiak (University of Iowa, USA), Dmitry Ivanov (Berlin School of Economics and Law, Germany), Fernando Deschamps (Pontifical Catholic University of Parana, Brazil), Guilherme Tortorella (Federal University of Santa Catarina, Brazil), Marco Silvestri (Università di Parma, Italy / University of Applied Sciences and Arts of Southern Switzerland, Switzerland), Michael Freitag (Universität Bremen, Germany). 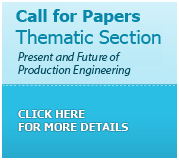 The journal Production ISSN 0103-6513 (www.prod.org.br) is the flagship journal of ABEPRO - Brazilian Association of Production Engineering. Production (formerly, Produção) was created in 1990 in order to provide a communication medium for academic articles in the Production Engineering field. The journal is among the top Brazilian journals in Operations, Manufacturing, Industrial and Production Engineering and Management. For the period 2018-2020, Prof. Dr-.Ing. Enzo Morosini Frazzon (from the Industrial and Systems Engineering Department,the Production Engineering Graduate Program and the Production and Logistics Intelligent Systems - www.ProLogIS.ufsc.br of the Federal University of Santa Catarina - UFSC) will be the Editor-in-chief. The Production journal is Open Access and is licensed under a Creative Commons Attribution License (CC-BY), and it is digitally preserved by SciELO. To provide an internationally respected stream for original and relevant research related to Operations, Manufacturing, Industrial and Production Engineering and Management. ABEPRO is an institution which represents teachers, students and professionals of Production Engineering. The association was founded more than 20 years ago and has the following functions: to clarify the role of the Production Engineer in the society and in his/her market, to be a link to the government institutes related to organizing and evaluating (MEC e INEP) and supportting courses (Capes, CNPq , Finep and entities which support regional researches), as well as private organizations as CREA , Confea, SBPC, Abenge and others non-governmental organizations which deal with research, teaching and extension of engineering.